The Honda-sponsored Grand Prix saw six Honda-powered Indy cars in the top-10. Chip Ganassi's Scott Dixon drove his Honda-powered Indy car to victory lane at Exhibition Place on the streets of the famous Canadian metropolis. 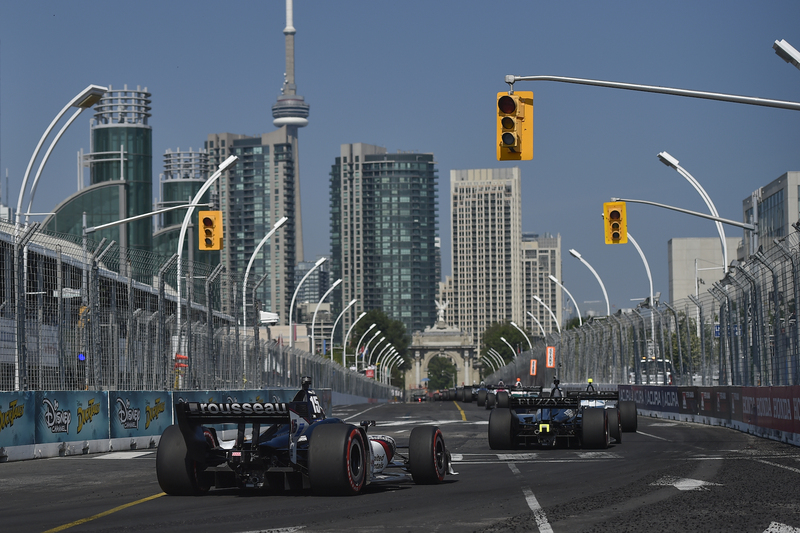 The New Zealander's victory at the 2018 IndyCar Toronto Grand Prix marks the 44th victory of his career, putting him only eight away from Mario Andretti who sits second on the all-time victory list. The drama-filled race got off to an exciting start as the frontrunners, as well as the backmarkers, tried to make their first moves on the first lap of the race only to find out that the tight 1.786-mile street course doesn't allow for much side-by-side racing—especially on the corner entrance and exit. 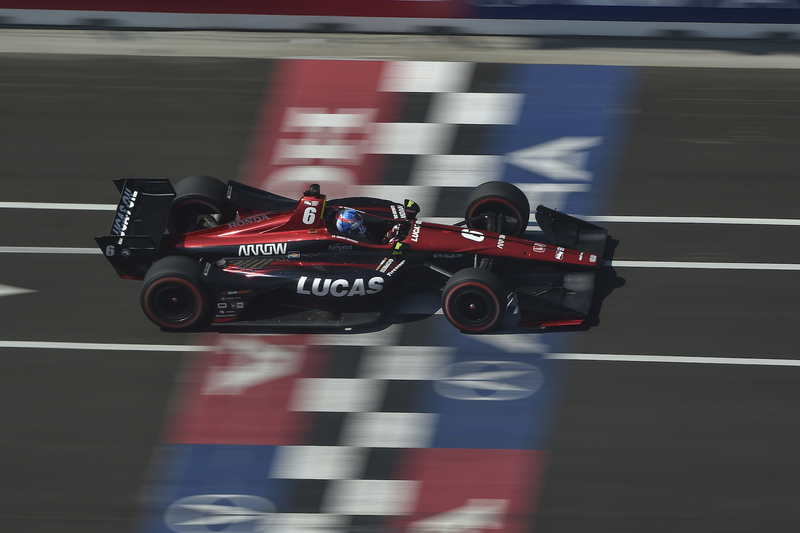 However, pole-sitter Josef Newgarden made it cleanly through the opening stage of the race and held the lead until lap 33, when he brushed the wall and damaged his Chevrolet race car. "It was a tough race," said Newgarden. "Making contact with the wall didn't help. I don't know what it was to be honest with you, it was either marbles or dust from the sweepers; they're trying to clean off the track and that yellow, when we already had tons of marbles 27 laps in. I don't know what to tell you, I went straight into the wall. And part of that is my fault, just making a mistake, but I didn't expect it; I'll tell you that. I just had no idea the car was going to do that. I knew it would be low grip, but not zero grip. I just lost the front end completely. I feel terrible, it's not fun to make a mistake." Following Newgarden's snafu, it was Dixon who assumed the lead of the race and he held onto it until the most important one: the final lap. And even though Dixon is one of the fittest and best-prepared drivers on the field, he admitted that it had been a physically demanding race. "I'm worn out, man, that was a physical race," said Doxon. "It was definitely easy to pick up lots of debris on the tires out there, and I think that's what happened to Josef (Newgarden) on that restart where we took the lead. He tried to go a little bit fast into the last corner there in Turn 11, got into the gray and that was pretty much it. I can't thank PNC Bank and the crew enough, we just needed some clear air and we were able to check out. What a great win for the team." 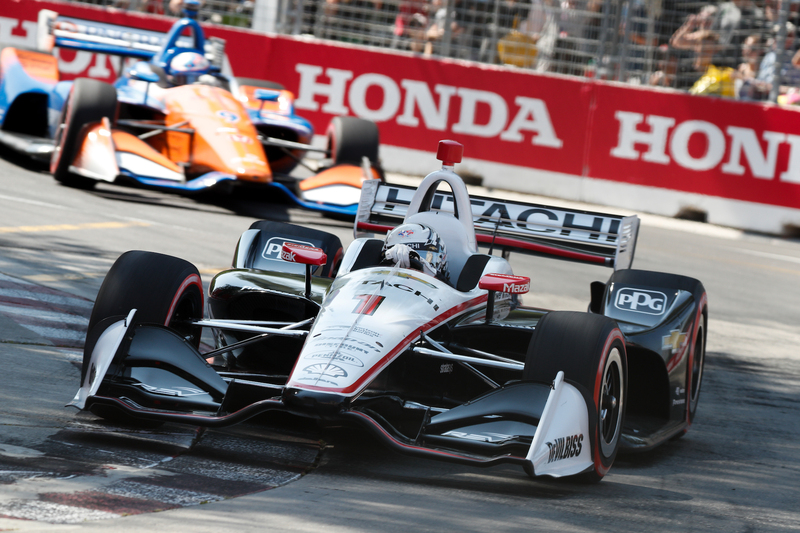 Team Penske's Simon Pagenaud followed closely in second place, and home-hero and Schmidt Peterson's super-rookie Robert Wickens finished in third place. Further down the field, it was Canadian James Hinchcliffe, Charlie Kimball, and Tony Kanaan who wrapped up the top six. 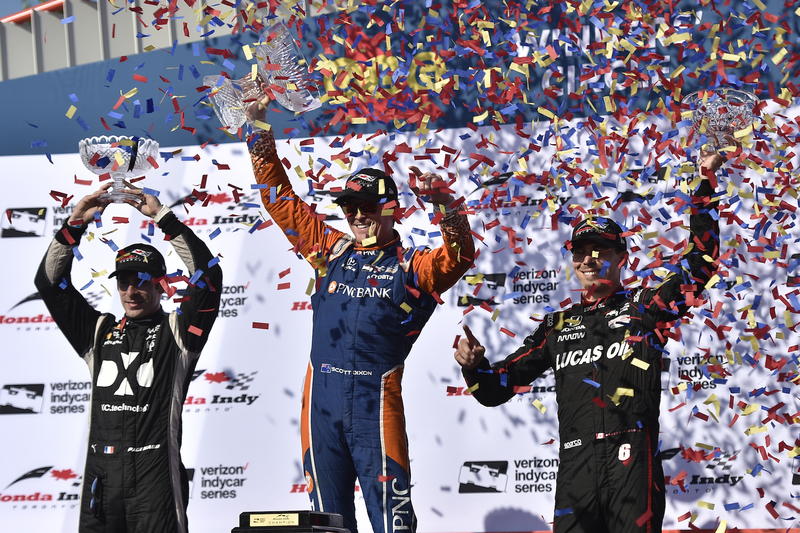 IndyCar now heads to the Mid-Ohio Sports Car Course for the Honda Indy 200 Grand Prix on July 29. Harrison Scott somehow walked away from this. Newgarden earned Team Penske its 262nd IndyCar pole in 51 years.